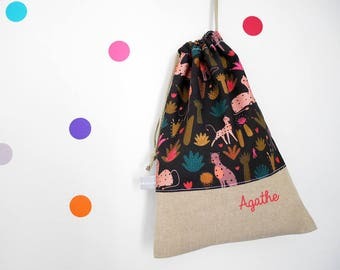 Quel prénom voulez-vous ajouter sur le sac ? 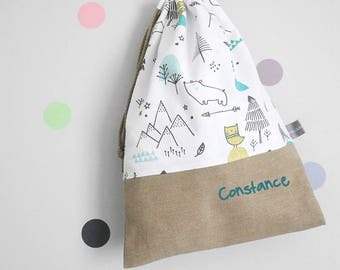 What name do you want to add on the bag? 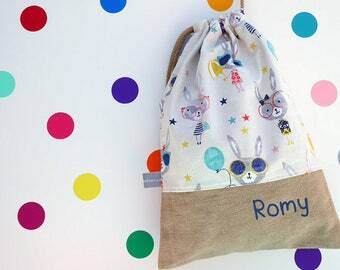 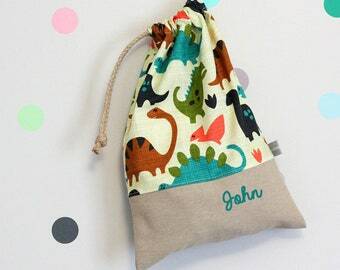 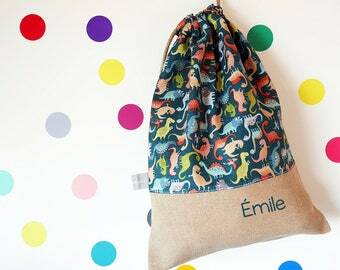 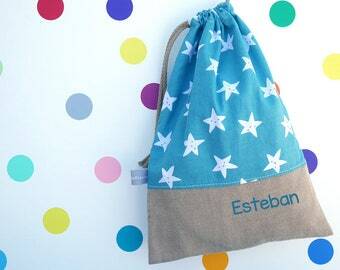 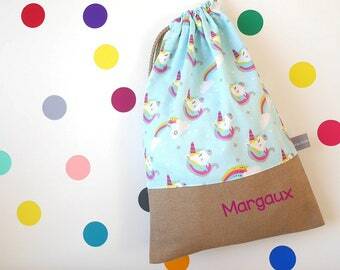 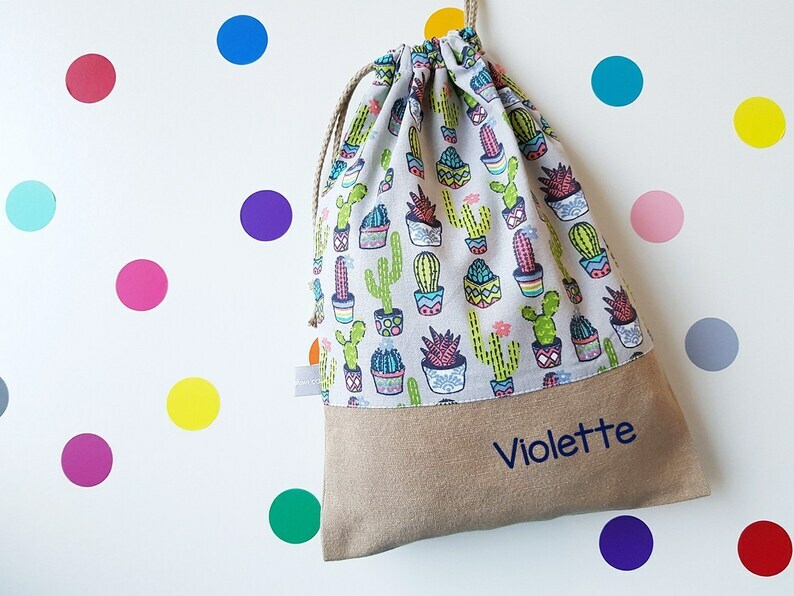 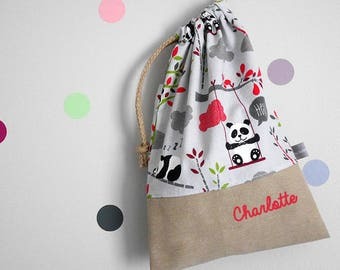 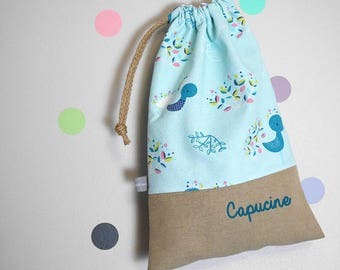 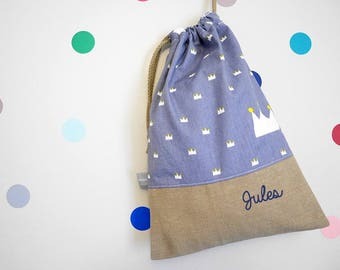 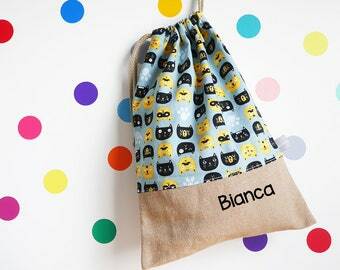 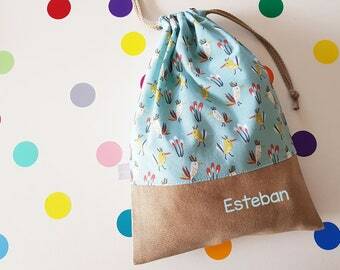 I made this drawstring pouch with cotton canvas on the bottom and a printed cotton on the top. 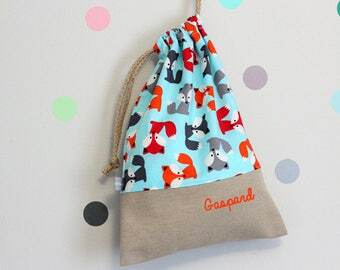 It closes with a linen cord.